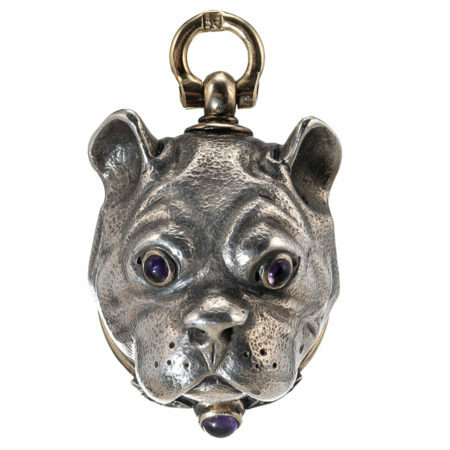 This charming and unusual Russian bulldog pill or snuff box is full of expression. 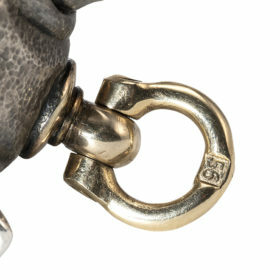 Originally fashioned to be a pocket watch fob, this piece would certainly serve as a distinctive pendant, keepsake, or unique acquisition. 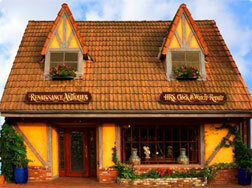 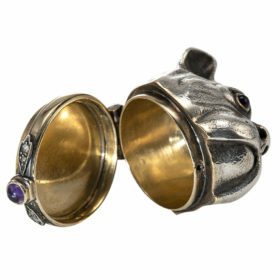 Crafted of silver and 14K yellow gold. 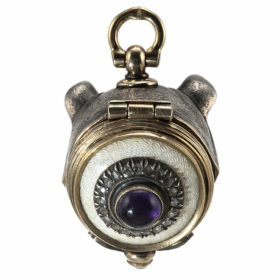 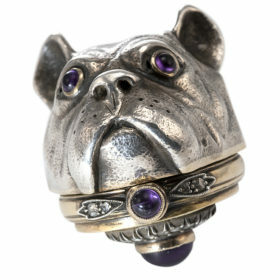 Amethyst and rose cut diamonds cleverly accent the bulldog at the eyes, collar, and bottom of lid.